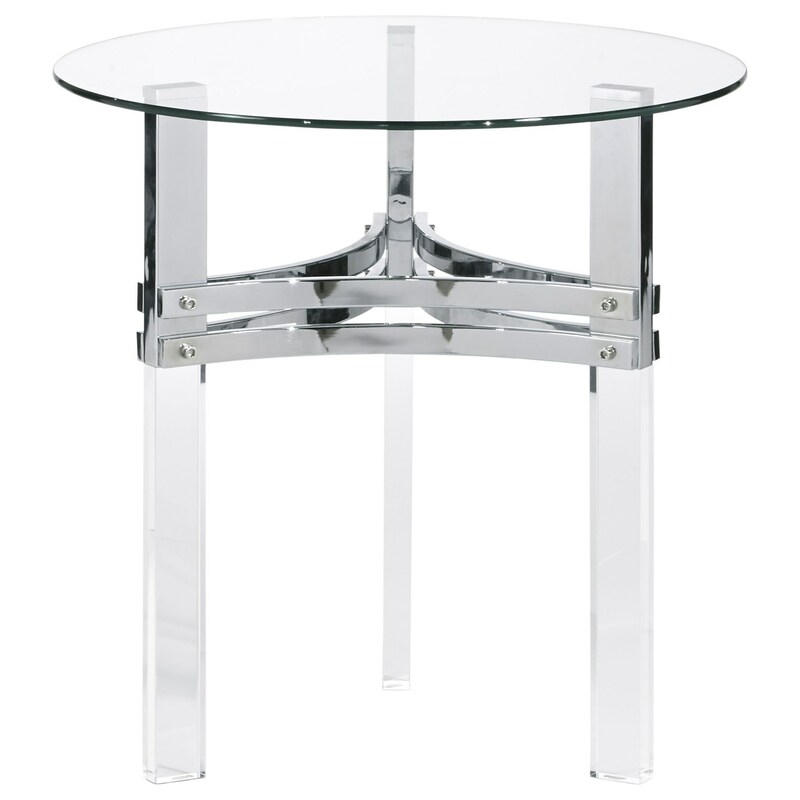 With its clear acrylic legs and glass top, this round end table will bring a light and airy feel to your living room space. Chrome-finished metal straps unify the legs and provide a flashier look for this modern piece. The Braddoni Contemporary Round End Table by Signature Design by Ashley at Corner Furniture in the Bronx, Yonkers, Mount Vernon, White Plains, Manhattan, NYC, New York area. Product availability may vary. Contact us for the most current availability on this product. The Braddoni collection is a great option if you are looking for Contemporary furniture in the Bronx, Yonkers, Mount Vernon, White Plains, Manhattan, NYC, New York area. Browse other items in the Braddoni collection from Corner Furniture in the Bronx, Yonkers, Mount Vernon, White Plains, Manhattan, NYC, New York area.